During a meeting at an Ohio Rosicrucian Chapter in the Summer of 2012, I was in a discussion with the local master about a subject that is quite popular presently: the Annunaki and their prospective return to Earth. The Annuanki, ancient visitors from far away outside of our solar system, had been here at the beginning of our present round of human society, about the time of the “ancient Mesopotamian cultures (i.e., Sumerian, Akkadian, Assyrian and Babylonian)” (WikiPedia, 2012). They had mentored us and helped us build the first great societies during this current round humanity’s evolution. A very advanced race, the Annunaki had advanced spiritual and biological science and created a hybrid race of beings to labor in mining for precious metals. These hybrid beings, fantastic in appearance, were a cross between human and insect, human and animal, animal and raptor. The picture below, obtained from the ancient Sumerian archives, shows a hybrid being presented to one of the leaders: possibly one of the “visitors”. I had asked the master if t he legends of the Annuanki were true and if they were indeed returning. She responded with a wry smile, and stated that “perhaps they are already here” and that they also “have evolved since the time they and humans have interacted”. 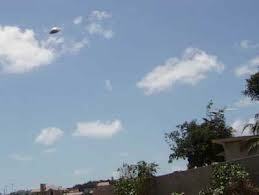 The sightings that are often reported of strange sights in the skies could often be them (although there are other beings just as advanced). 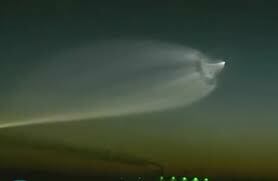 Many of these sightings have been recognized as failed intercontinental ballistic missile tests, but a large number of the sightings are indeed suspect of visitation (or perhaps supervision?) of otherworldly beings. This entry was posted in Metaphysics & Esoteric, SuperNatural. Bookmark the permalink.